Skype is now on OneDrive. Now you can chat about your folders too! "Your chat history stays connected to the document, so the next time you open it you can pick up where you left off by clicking on the “Chat” button in the top right corner. 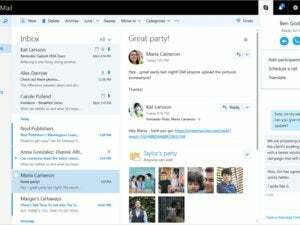 You also see latest conversations in Skype when you click on the Skype logo at the top right corner of the webpage." 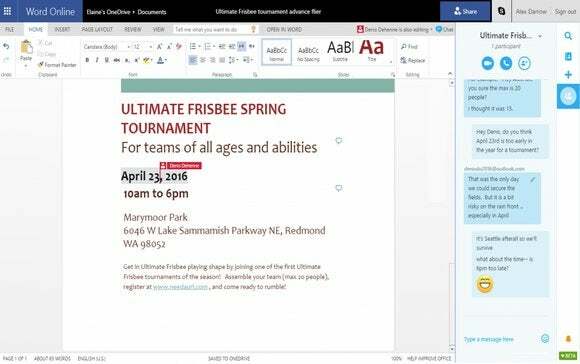 Updated at 11:05 a.m. Pacific on March 8, 2016 with comment from Microsoft.